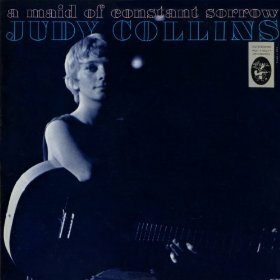 A nice debut from the sadly neglected Judy Collins. At this time, she sang with a slightly husky tone as if honed performing belting her vocals at a near shout, without amplification, at some Greenwich Village coffee house. Comparisons to folk stars of the previous decade like Pete Seeger are àpropos. As Collins evolved, she incorporated elements of Broadway theatrics, with a lighter touch and more legato phrasing. But those techniques lay in the future back in ’61. Yet even from the beginning she clearly had quite a voice. Enjoy. This flows directly from the Leninist view that everything is political. Freire is immanently practical. And just as Lenin routinely denounces “reformists” and “opportunists”, Freire picks apart the flaws of accommodations to elites and minor reforms. Sound like Alexis Tsipras and Syriza in Greece, no? (see also Jodi Dean, Crowds and Party). Still, that unfortunate argument can be largely ignored. Given the importance of education to Leninist political philosophy (through the October revolution, Lenin was finally able to institute educational programs that his parents had been blocked from doing under the tsarist autocracy, this being one of his most lasting concrete political achievements), Freire’s views are crucial in expanding upon the the overall organization of education, primarily at a more adult level.